Coyote is cunning. Coyote is opportunistic. Coyote is curious. 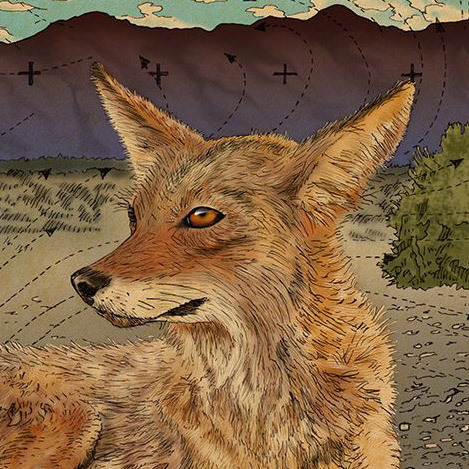 Coyote is a hardy survivor like the desert itself. This is why the coyote is feared and hated. Coyote is the brother of the wolf, and both are the oldest branches of the canine genetic tree. I can't help seeing 'dog' when I encounter them. My reaction to them is always awe mixed with a little caution. A pack of three moved into an abandoned area near my house. Walking my dog Scout there one day, the coyotes approached. Scout played with one of them like they were puppies. I was amazed how they immediately turned to play. I swiveled around to see the other two carefully moving into a position to circle us. It might have been a defensive strategy but being out-numbered I tossed rocks to break up their plan. Another time I was hiking down a wash with Scout. A group of 8 came toward us. I called Scout next to me as the coyotes fanned out, slowing and sniffing as they passed, and went on their way. The eyes and ears of the desert, they want to know who's coming and going. 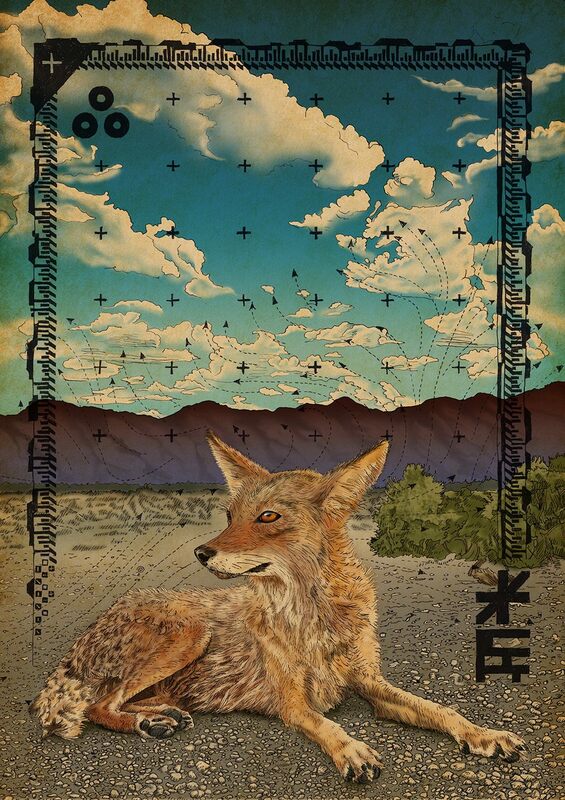 My piece has a coyote at dusk keeping an eye on the horizon, ears focused and nose scanning for changes in the air.